Dry, and having full body. Certified organic, sulfite free. Boozy (as expected at 16%!) but very drinkable and you'd guess it was lower ABV. Smooth. Bold but tasty. Lovely smokey oakey flavor (aged in whiskey & mead barrels). 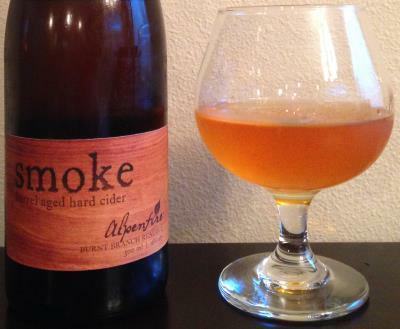 More of a cider to have a few sips of than a glass, so even with the small bottle you may want to share. Very complex, with notes of oak, peat, spice, orange, bourbon, scotch, honey, caramel, brown sugar, molasses, and baked apples. Runs $17 / 500ml, but worth it. One of my all time favorites.